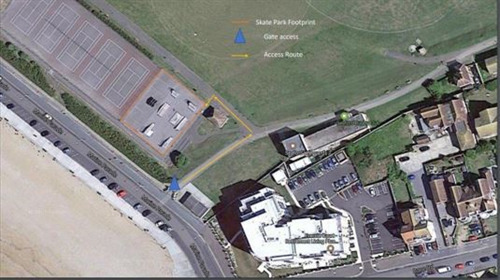 Seaford Town Council is currently inviting tenders for the design and build of a concrete skate park located in The Salts Recreation Ground. The current skate park, with freestanding obstacles/ramps, is no longer fit for purpose. Following a public consultation, the decision was taken to replace it with an impressive new concrete park funded with S106 monies from the Martello Place development and other grants. The closing date is Friday 8th September at 13.00. Craig Williams, the Facilities Manager, will be pleased to answer any questions regarding the tender and can be contacted by email at Craig.williams@seafordtowncouncil.gov.uk or by phone on 01323 894870.